We are the Longhorn Club Baseball team. 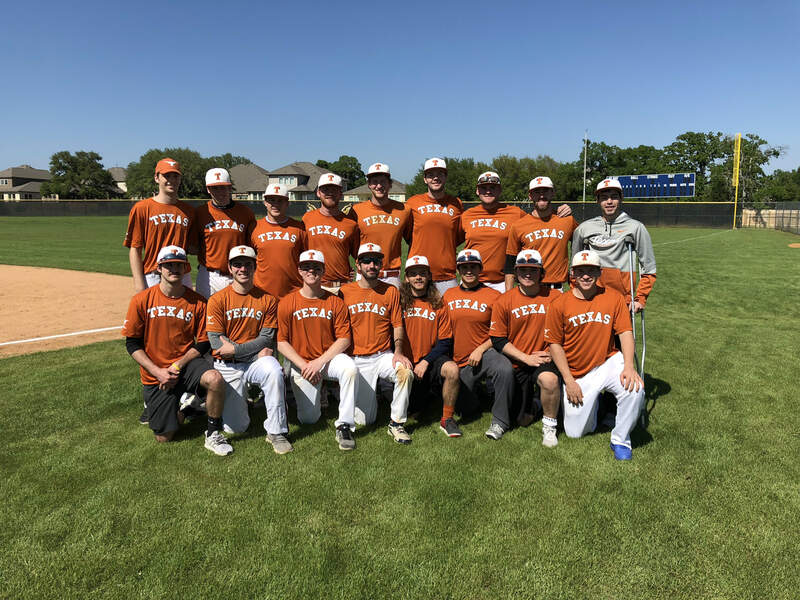 Our organization serves an opportunity for students at the University of Texas to continue playing the sport of baseball throughout their college careers. The club is a member of the National Club Baseball Association (NCBA), and competes with Division I club programs across the country. Some of our main competitors include Texas A&M, Texas Tech, and Tulane University to name a few. Since the club's founding in 1991, the club has grown into a well respected organization at UT, and continues to serve as a way for student-athletes to compete, work hard, and play ball. 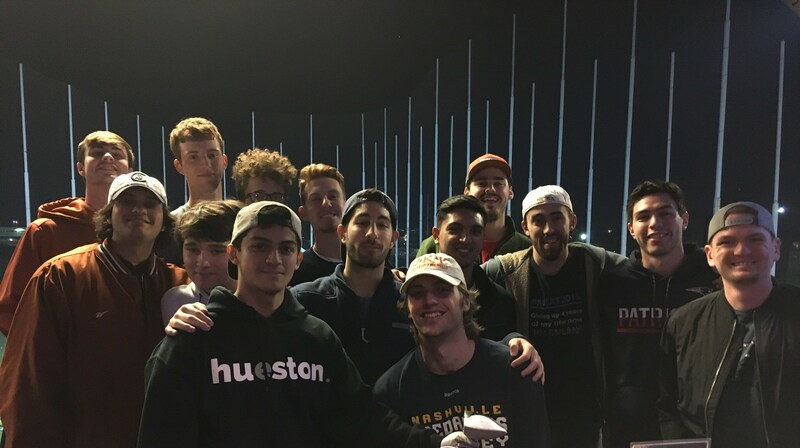 Currently, our club practices four times a week in the evenings after classes, and we play our official games on the weekends throughout the spring and fall. The club is responsible for negotiating field and umpire contracts throughout the season. As a result, we often change fields for practice and games. Throughout the past 3-4 years, the team has struggled to lock down a permanent practice field as well as a local game field. Due to increasing prices in Austin, field rentals have become very expensive and we are often outbid by local adult weekend leagues as well as some junior colleges. Our team has currently been practicing at a field at Edward Rendon Sr. Park, but the field is lacking an appropriate pitching mound. We need YOUR help. With your donation, we will be able to afford the practice field as well as start saving for purchasing a portable mound that we can take to practice for our pitchers. We are also working with a local field for games on the weekends. The cost will be between $400-450 for a full weekend of games. Since the field is closer to the university and is well groomed, we hope to secure the contract for the following season. So please make your GIFT today! Thank you for taking the time to learn about our organization. Your donation has the ability to help the team to lock down permanent homes for both our practices and games and would be greatly appreciated! With your help, our club will continue to help young men come together and play the sport they love at UT Austin! This amount will buy us 1 night of practice with lights. We practice 4 times a week. This amount will buy us two nights of practice with lights! This will cover 3 nights of practice! This will cover the cost of an umpire for one official game or one whole week of practice! The Great Bambino would be proud! This will allow us to rent a good field for single day of official NCBA games! We're not talking Denny's, this one will take us off the sandlot for good! This will cover the a whole weekend of official games, and will help us secure the contract for the local game field! This amount will secure our contract without a doubt. Thank you for your generosity. The team will have a home for several years down the line.